Damian has been in the Digital Asset Management and Marketing & Creative Technology space since 1999. With experience in marketing, sales, and the tech side of the business, he's watched the industry evolve from its infancy in print centric technologies to the enterprise marketing solutions we see today. As a Director of Global Marketing his main goal is to deliver relevant content, events, and experiences which not only inform, but educate those interested in marketing technology solutions. For the past several decades, more and more of our everyday lives have been migrating online. The average Internet user sees hundreds or thousands of images, videos, music clips, animations, and more on a daily basis. While this multimedia content is effective and compelling, making good use of it is no easy feat for business with large volumes of digital assets. According to a 2015 survey, organizations estimate that one-third of their digital assets go unused or underutilized. 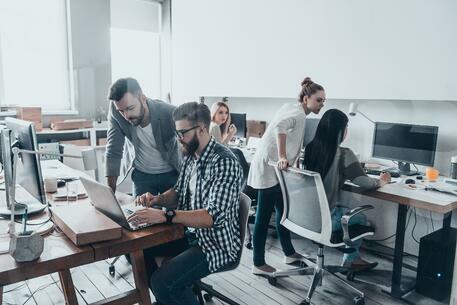 As companies’ troves of big data grow bigger and bigger, your employees shouldn’t feel like they’re suiting up for an archaeological dig every time they need to locate an important piece of content. Managing digital content in a constructive and fruitful manner is especially important for creative teams, who need quick and easy access to the resources they need in order to innovate and react to changing market conditions. Enter digital asset management (DAM), which has the end goal of accelerating the digital asset creation and distribution process. Indeed, more and more organizations of all sizes and industries are coming to adopt DAM solutions. Research and consulting firm MarketsandMarkets estimates that by 2022, the global DAM industry will grow to a value of $5.66 billion, more than doubling from $2.44 billion in 2017. Staying up-to-date with your DAM solution is essential when building operations processes for your creative teams. In this piece, we’ll discuss how product managers should select the right DAM software in order to maximize the productivity and effectiveness of their creative operations. What Does “Digital Asset Management” Really Mean Today? In order to understand why companies choose a digital asset management solution, let’s take a little walk down memory lane. Before the 1980s, the vast majority of enterprise “data” was stored within filing cabinets in paper format. While this had the advantage of simplicity, paper documents are also highly fragile and not easy to keep up-to-date without scrupulous attention. Although we’ve seen a great deal of progress in enterprise file storage, we’re still far off from the ideal solution. Most enterprises require complicated processes and manual oversight in order to use their assets effectively. What’s more, the past decade has seen an exponential growth in “big data,” as massive quantities of information are generated on a daily and even hourly basis. The average company now manages 163 terabytes (163,000 gigabytes) of information, which is more data than 40,000 high-definition feature-length movies on DVD. In addition, IT market intelligence firm IDC estimates that by 2020, the total amount of data in the world will be 44 zettabytes (44 trillion gigabytes). With so much information to keep track of, companies need to have a well-considered strategy for getting the most utility from their enterprise data. Large enterprises may have millions or tens of millions of assets on hand, all of which need to be stored and managed. Still, asset storage may be the least of your concerns with digital assets. After all, data is useless if you aren’t able to efficiently find and retrieve it. In addition, each asset may have separate rights and metadata that affect how your organization is able to use and distribute it. Efficiency: With DAM, there’s a place for every asset and every asset is in its place. By properly managing your enterprise data, you can more easily find information when you need it, saving your employees time and effort. Centralization: You can easily track how assets are used across multiple channels, from websites and emails to social media. DAM solutions break down departmental “silos” that hide assets away from people who could stand to gain from using them. Rights management: Different roles in your organization can view certain asset classes that they should have access to, while being restricted from viewing others that they shouldn’t. In addition, you can automatically hide or remove assets once their license has expired, preventing you from mistakenly violating copyright law and reducing your business risk. Brand compliance: 77 percent of marketing leaders agree that branding is critical to growth. Having a DAM for your digital assets helps your company maintain a consistent style and message by always using the most up-to-date content. File types: Modern DAM systems are capable of working with hundreds of different file types, preventing conflicts and compatibility issues. Is Your Current DAM Solution Modern Enough? Unfortunately, most organizations don’t have the luxury of an unlimited IT budget to acquire the latest and greatest technologies. When it comes to DAM (and other enterprise software), you need to strike the right balance between a modern, feature-rich solution and a solution that won’t break the bank. Maybe your company has no organized DAM system at all, with files scattered haphazardly across hundreds of employees’ computers. In this case, anything would almost certainly be better than nothing. If you’re reading this, however, you more likely have a DAM solution that’s showing a few signs of age, or that’s perhaps not as comprehensive and powerful as you might like. In this case, the question becomes when exactly you plan to pull the trigger and upgrade. What pain points are you currently experiencing with the existing solution? Does searching for and retrieving assets take too long, or perhaps you can’t easily see the history of how an asset has been used? How many of these issues are due to the underlying hardware and databases, and how much is attributable to the DAM software itself? On the other hand, what features and aspects about your current DAM solution are you enjoying? Which of them are even mission-critical for your operations? Any digital asset management system worth its salt should contain at least the functionality below. If your DAM software can’t provide these features, it’s definitely time to start shopping. Organization: You should be able to collect assets in a centralized library or location and classify them into user-created groups (such as collating by an asset’s creator, date of creation, or type of content). Search: You must be able to efficiently search the asset database to locate the content you’re looking for (and even discover content you were unaware of). Assets should be searchable by multiple methods, including keywords, metadata, and category hierarchies. Collaboration and sharing: DAM systems may contain very large files such as videos that are impractical for sharing directly. Users must be able to share assets via a direct link or a downloadable ZIP file. Version control: Inevitably, files within your DAM system will need to be changed as your business processes and strategies also evolve. Your choice of DAM solution should come with a robust version control system that saves the history of modifications to each asset, and allows you to revert to previous versions. Access control: Not all employees should have access to all of the assets in your DAM solution. Users should have different permissions for viewing, sharing, uploading, and downloading, depending on their role within the organization. Semantic databases are part of the next evolution of Asset Management, they are aimed at datasets that are geared toward dealing with many distribution channels and connect an entire organization to a single source of truth. Download our white paper to learn more about how you can make your assets work for you and your organization. 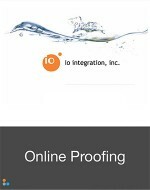 DAM solutions have traditionally been used primarily by companies’ marketing departments. Marketing team members use DAM software in order to manage digital assets such as photos, videos, animations, logos, infographics, music, audio, and more. Product management: With a variety of teams and workflows to oversee, project managers can greatly benefit from the right DAM solution for storing company assets and their metadata. Human resources: HR may use DAM to manage their video assets for training and onboarding new employees. Sales: B2C businesses may use DAM as the backend of an e-commerce store that sells multimedia content to end consumers. The use cases above only scratch the surface in terms of how companies might use DAM systems. In order to have a truly future-proof DAM strategy, you need to choose a flexible, adaptable DAM solution that can potentially meet the needs of any user base within your organization. Who Should You Consider When Updating Your DAM Solution? When contemplating an upgrade of your DAM system, the software’s primary user base should be the group of people whose opinions matter the most. After all, they’re the ones who will be using the system day in and day out, and they’re also the most familiar with the drawbacks and benefits of the current solution. C-level executives: Getting approval from key decision-makers in the C-suite will be crucial in order for the upgrade to progress (more on that later). Executives and upper-level managers are primarily concerned with how the upgrade will affect their bottom line in terms of return on investment. Be prepared to back up your pitch with solid data-driven arguments about how the software will cut costs by making employees more efficient and productive. Vendors and contractors: Third-party business partners may also make use of your choice of DAM solution during their relationship with your company. They may even have recommendations about which software is best for your situation, based on their experiences with other companies. Clients: Some organizations need DAM solutions that are both internally and externally facing, such as stock photo agencies that offer images and videos for sale to customers. Surveys can be an invaluable tool for understanding how clients feel about your current DAM and what features they wish were available. What Are Your Digital Asset Management Options? DAM systems run the gamut from basic photo libraries to full-fledged enterprise solutions with powerful capabilities for sharing and collaboration. In addition, the application may be hosted on your own on-premises hardware or delivered to you via the Internet (an approach known as “cloud software”). Once you’ve decided to make the switch, assess how your choice of DAM solution will integrate with the rest of your IT infrastructure. Depending on your business workflow, you may wish to combine your DAM software with other applications for marketing, workplace collaboration, and business intelligence and analytics. Depending on your level of familiarity with DAM systems, it may be wise to work with an outside consulting firm before and during the deployment. Many customers approach DAM software vendors directly, but then abandon their chosen system a year or too later because it's not the right fit. A third-party industry expert understands how organizations work and can give strong advice on which solutions will meet your unique business requirements. What If Your DAM Solution Loses Your Data? While the likelihood is remote, there’s always a possibility that your DAM solution will experience partial or total data loss. This can occur due to both external factors, such as natural disasters and server crashes, as well as errors in the DAM software itself. In the event that you’ve lost your data due to the fault of the vendor, some DAM companies may offer compensation or good-faith efforts to recover it. However, this is by no means a guarantee. Before signing a contract, be sure to read the vendor’s software warranty and end user license agreement with a fine-toothed comb. Whether or not you suffer a data loss event, your business should always maintain backups of critical and important enterprise data. Not only does maintaining backups help recover from data loss, it also helps you roll back files and systems to a previous version if you encounter technical problems. Backups should ideally be stored in the cloud, or off-site in multiple locations, in order to protect them from physical damage. Because data backups are often deleted after a few days and weeks, they're usually intended to be a short-term insurance policy against data loss and disaster. In addition to creating backups, your business should investigate enterprise archiving solutions for long-term storage of valuable data and files. While backing up your data creates a copy, archiving it places the original data in a separate location for long-term storage. Archives have sophisticated search and analysis capabilities that may not be available with backups. Is Your DAM Solution Really “Future-Proof”? Your DAM software should ideally be an “evergreen” solution that can grow alongside your company as market conditions and business objectives continually shift. When evaluating potential DAM partners, look to see if they describe their products as “adaptable” or “flexible.” Is this an accurate description of the software, or is it just a marketing buzzword? In particular, search for DAM vendors that provide long-term support and maintenance. Some partners will guarantee a particular length of engagement, while others will help you migrate your data away from the platform if you choose another vendor in the future. Beware software with “golden handcuffs”: features that are designed to lock you in, such as proprietary file formats. With the pace of technological change only expected to accelerate in coming years, it’s hard to guarantee whether a given software application is truly “future-proof”—especially one so heavily dependent on digital content as a DAM solution. However, your choice of DAM software should always be able to last you for at least the next three to five years. This will allow you to open up your IT budget in the event that you select the wrong DAM solution (unlikely after you finish this guide, but nevertheless a possibility). What Does the Future Hold for DAM? Artificial intelligence and machine learning: Although they’re advancing in fits and starts, computers are slowly getting better at understanding and predicting human desires and behavior. We expect that more DAM solutions will leverage developments in AI and machine learning in order to serve up more relevant content to the people who need it. 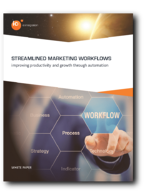 Workflow automation: Automating your tedious, manual business processes will cut costs and improve accuracy while freeing up human employees to focus on valuable strategic activities. Intelligent DAM systems will be able to automate simple tasks on files such as checking their integrity, converting them between different formats, and distributing them to the appropriate users. Reporting: Business intelligence and analytics are the keys to making smarter organizational decisions. DAM systems of the future will either integrate with BI software or generate their own reports about how different users within your business are using different content. Blockchains: Thus far, most of the hype surrounding blockchains has focused on cryptocurrencies such as Bitcoin with investors looking to strike it rich. However, blockchain technology offers great potential for any situation where companies need to maintain an immutable ledger of transactions—such as recording how digital assets are created and used. What are the Price Points for DAM Solutions? The DAM software market offers a glut of products to fit every company’s budget, from $9.99 per month to a hefty one-time price tag of hundreds of thousands of dollars for next-level systems. With so many options on the table, you’ll need to carefully consider how each one of them fits with your organization’s requirements. The first thing to note is that there are usually two different DAM pricing models: recurring charges and one-time capital expenses. Recurring charges, which are usually levied on a monthly or annual basis, usually correlate with DAM software as a service (SaaS) solutions. SaaS is a licensing model in which the software is licensed to customers via an ongoing subscription and delivered over the Internet. In particular, many small and medium-sized businesses find SaaS solutions appealing because of their predictable costs, their flexibility, and their reduced hardware and maintenance obligations. The second alternative is a one-time capital expense, which usually covers everything from preliminary consultations to installation. This has a much higher upfront cost, but also the advantage that you won’t have to keep paying for the solution every year. Flat-fee DAM solutions are usually installed on-premises and typically come with hardware procurement (but not always). Because you host the DAM yourself on your own hardware, any support and maintenance will cost extra. Finally, there’s also a third alternative with a completely different pricing model: open-source DAM software. Open-source software is usually free of charge, at least at the lower tiers of usage, and in general cheaper than closed-source enterprise solutions. However, this comes at the cost of little to no technical support and your own maintenance obligations. Examples of open-source DAM solutions include Razuna, Pimcore, and ResourceSpace. The pricing model for DAM software is also highly dependent on the vendor. Some companies offer a highly modular product that can be tweaked and customized, while others sell only a “one-size-fits-all” solution that may not perfectly fit your needs. In general, however, the one-time fee for a modern, robust DAM solution usually falls within the range of $15,000 to $250,000. SaaS DAM solutions, meanwhile, start at a few dollars per month and can go as high as several hundred dollars per month, depending on the features, the number of users, and the level of support. If you don’t have prior experience implementing a DAM solution, it’s likely a good idea to work with a third-party expert in this field. 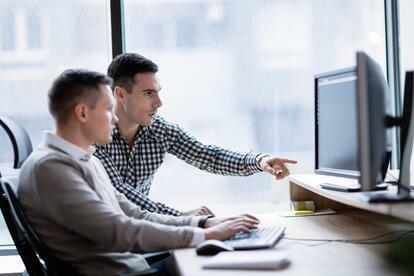 Leaving the decision in the hands of employees such as product developers can result in an overly narrow focus on the technical specifications of the software. On the other hand, solutions consultants and workflow specialists look at the larger picture: how your organization actually works, and how DAM software will best fit into that. Partnering with a qualified DAM expert, who understands the system that's right for your specific business requirements and can roll it out throughout the organization, is critical for many businesses. We help world class organizations navigate the expanding universe of technology and get you on track with the solution that meets your unique requirements and business needs. We hope that the information in the previous sections has convinced you of the need to upgrade a feature-rich, cutting-edge DAM solution—if not now, then somewhere down the line. Of course, it will all be for naught unless you can make a convincing pitch to the C-level executives at your organization as well. As mentioned before, executives and upper-level managers are primarily concerned about the bottom line, and whether the benefits will be worth the price tag and the extra effort. Whenever possible, use quantitative arguments about how the software will save employees a certain number of hours per week, or reduce costs by a certain amount. Above all, make the case that upgrading your DAM system will help creative teams succeed, and with them the company as a whole. After you’ve won over these key decision-makers, you’ll need to discuss the change with your employees as well. This is easier said than done: according to an MIT study, 63 percent of managers believe that their pace of technological change is too slow due to poor communication about the advantages of new tools. Listen to employees’ concerns about how the change will affect them. After soliciting their opinions during the shopping phase, you should continue to value their input throughout the adoption process. Expect a certain degree of pushback, and be prepared to meet it with reasoned argumentation. Present your vision for how you see the new DAM system benefiting both the organizations and employees themselves. Help them understand what’s in it for them by showing them how it will simplify or streamline their jobs. Focus on “early adopters,” key figures within particular groups and departments who can help get others on board as well. By winning these people over early on, you can create a “ripple effect” as they evangelize for the new software. Work with an outside expert who understands the DAM market. A trusted DAM partner will have experience advising other companies in a similar situation, and can advise you on the various solutions available to meet your business requirements. With these strategies in mind, you’ll be much more likely to gain the buy-in from executives and employees that you need to pull off a DAM upgrade—and one step closer to reducing your business costs while improving efficiency and productivity. Want access to all of this information at your finger tips? Simply fill out the form below to download this page as a PDF, and take it with you anywhere.